There is a misperception about vacancy. The presumption is that vacancy is bad. Not true. Eliminating vacancy is often a property management companys number one goal. Sometimes vacancy is good. Really. For example, vacancy (turnover) allows property management to bring lower revenue/under-market units up to current market rents. Its also an opportunity to improve interiors. A tenant is $200 under current market rent. A renewal is offered with a $72 monthly increase (a 6% increase). The tenant declines stating the increase is too high and gives notice to leave. This unit will now be rented at market rents-$200 higher. 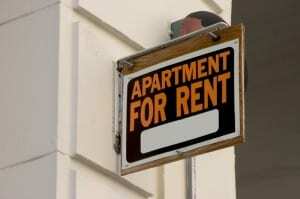 If the tenant had remained, the twelve month rental income increase is $864. Re-rented at market rate, the twelve-month rental increase is $2,400. Vacancy is good. A long-time elderly tenant living on a fixed income breaks a hip, has huge medical bills and is just barely keeping rent current. At time of renewal, while the decision point may be kicked up a few layers, the probability of a rental increase is limited. Thus, rent maximization is not going to occur on this unit at renewal. Whereas it would be in the best interest of the property owner to request an increase (thus, in essence, forcing a move-out) most property managers will defend their decision to allow this tenant to remain at the current rental rate for another year until the person can recover from their medical emergency. This is an example where vacancy would be good from a purely financial perspective as the unit would likely be re-rented at a higher rate. But in the end, it doesnt matter because humans are still more important than money and a forced vacancy is not the appropriate call. In this example rent maximization gives way to common sense. Significant annual turnover is bad, of course. Its difficult to make money at any property where annual turnover approaches fifty percent. One potential positive to high turnover is allowing an owner to perform needed interior upgrades. This is only good if the upgrades bring stabilization versus continued high turnover. Vacancy is often seasonal. Generic seasonal vacancy follows the school year whereas families move during late spring and summer prior to school starting back in fall. This can be good for smaller propertys allowing an owner to hire seasonal help to address turnover while not having to staff year round. In other words; seasonal vacancy can be a good thing. Consider then that not all vacancy is bad as the vacancy event can be utilized to make improvements and increase rents on units vacated by long-term residents. Yes, we all want long-term tenancy. Ideally, we strike a balance between length of tenancy and keeping pace with market rents. John Wilhoit, Jr., is President of Wilhoit Investment Network, LLC, (WIN LLC) in Columbia, Missouri, an owner and asset manager of apartments, condominiums and town homes, and a contributor to Multifamily Insight Blog, providing tips on best practices in multifamily property management.